The Neutral Gal’s Intro to Colour – amandarobots. The first is, of course, that you can choose your own shades. The second is that you can decide virtually any time, “Oh, my makeup life is boring. Why don’t I pop by MAC and grab a new colour?” Not a lot of readily-available brands offer that at such a palatable (ha ha) $11 price point. 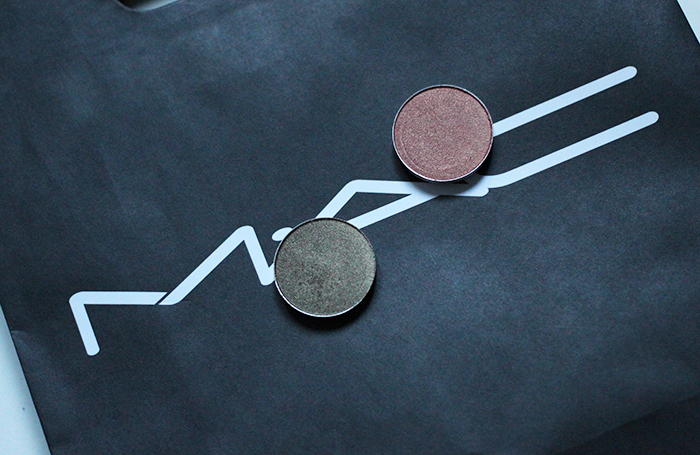 When I first got into eyeshadow, I went crazy for shades like Patina, Cork, and Satin Taupe. Gorgeous colours all of them, and to this day they remain some of my favourites. But 3 Naked Palettes and a MAC palette full o’ neutrals later, I’ve become quite colour-shy. I attribute this to two things. One is that I just love a neutral eye; nothing is more fool-proof and universally flattering than the right neutrals blended out to make the perfect smokey bronze eye. The second is that, as a young black woman, if I were to place my makeup fate completely in the hands of most makeup professionals, they would cover it with dark, bold, bright colours. Why? Because deeper skintones can take bright colour without looking washed out. I discovered this while working as a beauty adviser, when my colleagues would all but object to my neutral colour palette because I “look so pretty in” a red lip. If I asked them for colour suggestions, they went right to the fuschias, reds, and burgundies. Which is nice. It really is. But, rebel that I am, I shied away from colour and stuck with my comfy neutrals. But now I’m bored. The purple-leaning browns and greys are no longer enough, and I’m looking for a teensy bit more colour on the eyes. MAC Sumptuous Olive is an amazing way to do that. It’s colour for the colour-shy. It pulls a shimmery golden-green on my skin, which is both striking and wearable at the same time. It’s colour I’m comfortable in. Expensive Pink is a shade that I’m surprised I didn’t already own. It’s a golden pink that I legitimately can’t dupe anywhere else in my collection – not even in Naked 3, although it looks like it would be right at home there. I attribute its uniqueness to the quasi-duochrome finish it has. 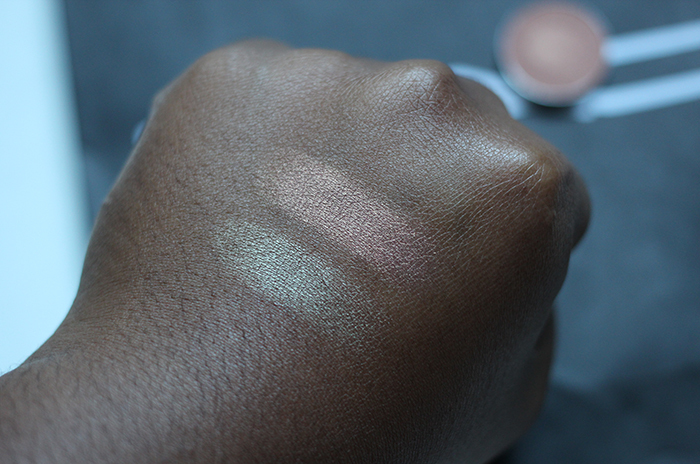 While some MAC shades are stiffer and chalkier than others, these are both creamy and smooth with intense colour payoff. I’ve dipped my toes into colour, and I think I’m addicted – my next brave foray just might be with Cranberry.